2017 wasn’t the worse year of my life, they’ll never be one of those, not if I allow it. 2017 was the year I passed my driving test - on my first try too, in a short space of time between taking my very first lesson and then having the test itself. So many people come forward to tell me they’re so shocked, as they’d never thought I’d drive, or if I did it would be automatic, I’m both happy and proud to say that I passed my test in a manual car, so I can drive both. I’m not going to lie, once upon a time when thoughts of driving first entered my head, I told myself (because I stupidly listened to someone else who told me they failed in a manual three times!) that learning in a manual would be hard, that I wouldn’t pick it up. I had never even attempted to start a car before my first lesson on February 27th 2017, I passed my test on July 21st 2017, but I had less than one lesson a week, a break in between lessons, two instructors, and four (YES 4) cars to practise in. I had an instructor so learned the basics in her car, then I changed instructors meaning I carried on learning in that car, then my second instructor got a new car (due to an accident with another student, totally not their fault) just 9 days before my test, and then my own car. With my driving journal, I felt like the odds were stacked against me, it seemed as though I was meeting hurdle against hurdle. I think I’ll actually write a post about it all, as its quite a long story.... but yes - I’m now a driver, in 2017 I passed my test! 2017 was the year where I welcomed two more babies into the family, both boys - meaning I’m still not an auntie to any nieces, but seven nephews are totally fine, and I also took on two nephews - making it a total of 10 boys in the family now! 2017 was also the year where my son finally got a diagnosis, we got some “official” answers to say the least. Nothing’s changed, he’s still my son, my life, my world, the same boy I know, it’s just now we can actually get him some help. In 2018 I have quite a few resolutions, I’m not going to tackle them all in one go, as I personally don’t think it will work, but I am going to try my hardest to tick them off the list one by one. In 2018 I’ll be speaking less and less about Spud, he’s in secondary school now, and I wouldn’t want to invade any of his privacy. He is growing into a young man, and I don’t want him in the limelight anymore. In 2018 I’m also going to try my hardest to get Unique Young Mum back off the ground. I’ve spent so long wondering if it’s time to let the ship sail, but the thought terrifies me. 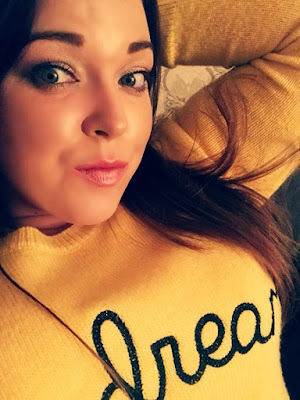 Blogging has secretly saved me from going insane, it’s been there for me 24/7 when no one else knew I needed someone to listen, someone to hear me out - my blog was there though, it always is and always will be. I could write like no one was watching like no one was reading, and without a care in the world. These posts aren’t published, they’re sat in drafts, never to be published. Blogging has also given me some beautiful friendships, friendships I’ve been totally awful at, in fact, I can’t remember the last time I had a decent conversation with one of the many bloggers I’ve made friends with. I plan to change this in 2018 and let everyone know how sorry I am for disappearing and not staying in touch. 2017 also taught me to always be yourself, it’s okay to hold your hands up and admit you’ve not always won, that life is not always going to go your way and sometimes the devil is going to hurt you in ways you could never imagine. What matters is your beliefs (in my case God), he pulled me through, along with Spud (my son), Gareth (my fiancé - yes he’s still around! ), my family and new friends, because 2017 also taught me lots about “friends” too. I’ve wanted to publicly write for so long, but no words were coming into my head, this post felt so natural, and I hope and pray it continues. For anyone who’s still reading, thanks for sticking around. Thank you to those who’ve checked up on me after noticing I’ve disappeared, and thank you to Rachel (Blogging Mummy) for making me realise that Unique Young Mum is where a large part of my heart is.